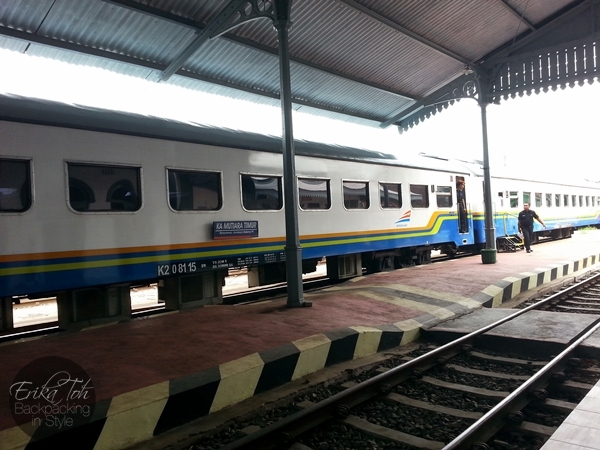 My sister and I arrived at Probolinggo Train Station in the afternoon, around 1.15 pm. There were we only a handful of people at the train station that time. 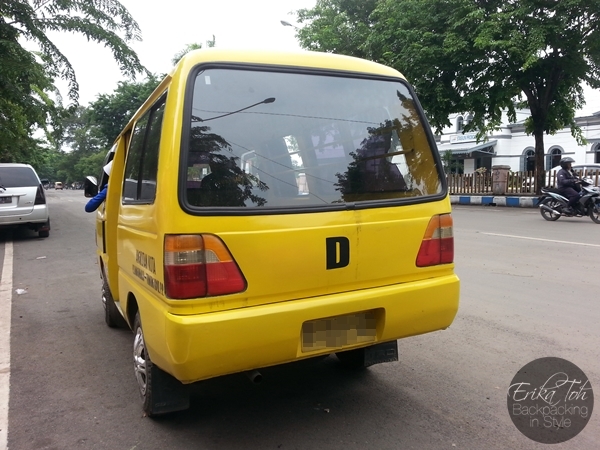 Without delay, we immediately walked out of the train station, and headed to the road in search of a public transport to Bayuangga Bus Terminal, Probolinggo. As we were walking out of the train station, an old man approached us and offered to take us to the public bus or public bus station. We politely declined his offer and walked away from him, however he got persistently aggressive and intimidating – that instantly put us off! 🙁 Knowing his ill intention, we ignored him and swiftly made our way to the Tourist Information Centre located in front of the Probolinggo Train Station for assistance. A fishy Yakuza-looking man in a yellow angkot (a minivan version of the local public bus) waiting by the roadside offered to take us to Bayuangga Bus Terminal, but we refused. I will get back to the story of this particular man and his yellow angkot in a while. At the Tourist Information Centre, Probolinggo, I spent some time talking to the respective personnel there; collecting information on how to get to Mt. Bromo, how to book an accommodation at Mt. Bromo, and even talked about the rampant scams targeting unwary travellers happening in Probolinggo, East Java. At first, he was reluctant to tell the truth, but after much persuasion and persistence, he finally gave in and told me the truth. Remember the yellow angkot my sister and I passed by on our way to the Tourist Information Centre, Probolinggo earlier? I asked the personnel if there is another alternative for us to get to Bayuangga Bus Terminal without taking that specific yellow angkot, unfortunately there was none. 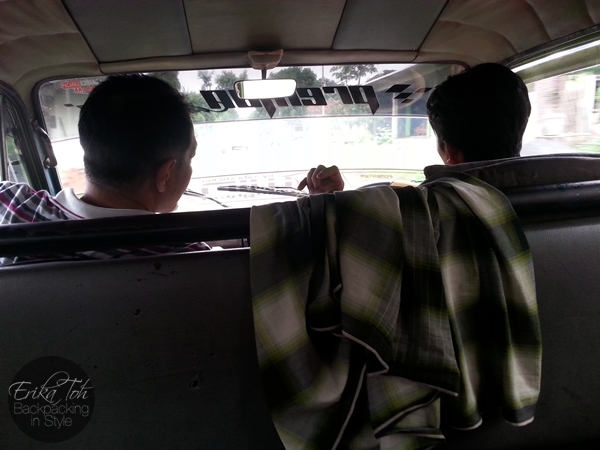 By hook or by crook, we had to board that suspicious looking yellow angkot to get to our destination. Say, what?!! 🙁 Reluctantly but warily, we boarded that yellow angkot, now strategically parked in front of the Tourist Information Centre, Probolinggo. 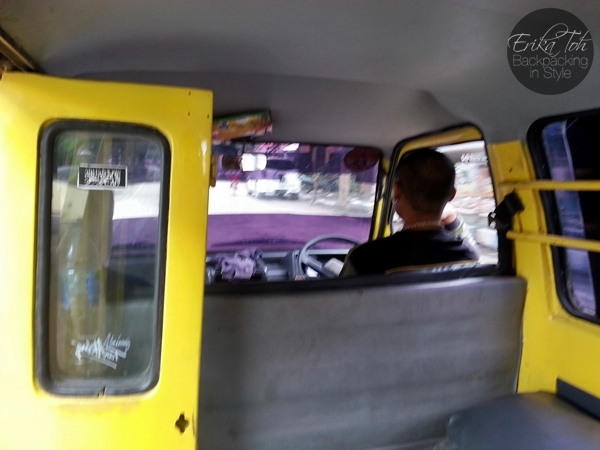 For safety purposes, I took several photos of the yellow angkot (registration number) and the driver for our record just in case something happens. As the saying goes, one cannot be too careful when it comes to safety. The Yakuza-looking angkot driver whose arms were covered with tattoo and I bargained and agreed with the fare of Rp.5,000 per person to get my sister and I to Bayuangga Bus Terminal. As suspected, along the way he persistently tried to persuade us to take up the tours he suggested, but I kept a poker face and stubbornly refused. 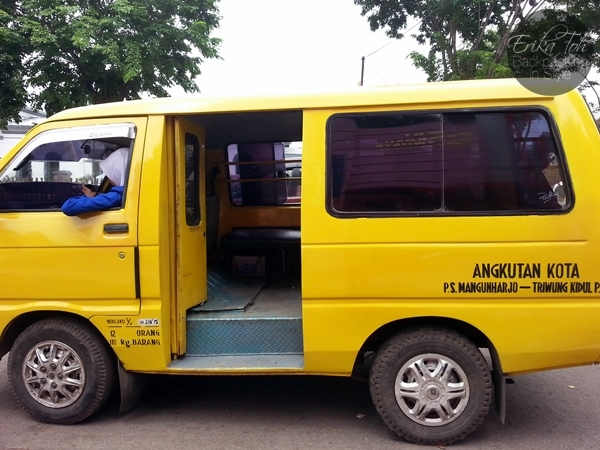 I felt much safer when some school children boarded the yellow angkot later, and after travelling for about 15-20 minutes, my sister and I arrived safely at Bayuangga Bus Terminal, Probolinggo – without any incidents, in one piece with no missing limbs, whatsoever! Honestly, that was the most tense ride my sister and I ever took. A Guardian Angel & Friendly, Helpful Locals to the Rescue! Once we arrived at Bayuangga Bus Terminal, Probolinggo, our next public transport to Cemoro Lawang @ Mt. Bromo was either an ojek (motorcycle) or a bison (local green van) ride. As foretold, many individuals (mostly of Orang Madura/Madurese ethnicity) mobbed us, trying to sell their tours and services. I have been warned beforehand that some of the Orang Madura/Madurese can be quite rude, hostile, intimidating and vulgar. My sister and I ignored them and walked swiftly towards the nearest petrol station (SPBU Triwung), located about 100 metres away for directions and advice. For that, the vulgar “F*** Y**!”words were hurled at us. No kidding! 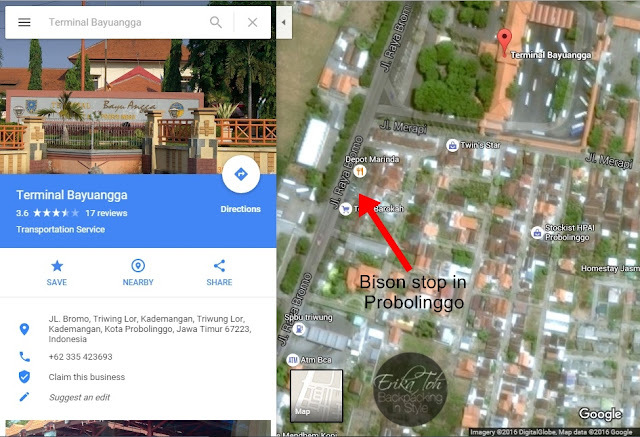 At the petrol station, we found helpful locals who directed us to the bison station located just several metres away. Wasting no time, we went straight to the bison station located nearby Depot Marinda and hung out at one of the local food stalls while waiting for other travellers/passengers to fill up a bison. For your information, the rent for an entire bison is Rp. 450,000 per vehicle. The amount is divided equally to the number of passengers on board. It costs about Rp. 35,000 per personfor a one way, full car trip. Unfortunately, given the time my sister and I arrived there, most travellers have boarded the early morning bison up to Cemoro Lawang @ Mt. Bromo. Out of the blue and by chance, came a man, our angel in disguise on an ojek and there were three of us now. Wanting to reach Cemoro Lawang @ Mt. Bromo before nightfall, we decided to just pack and go – a move that costs us Rp. 150,000 each for the bison ride. 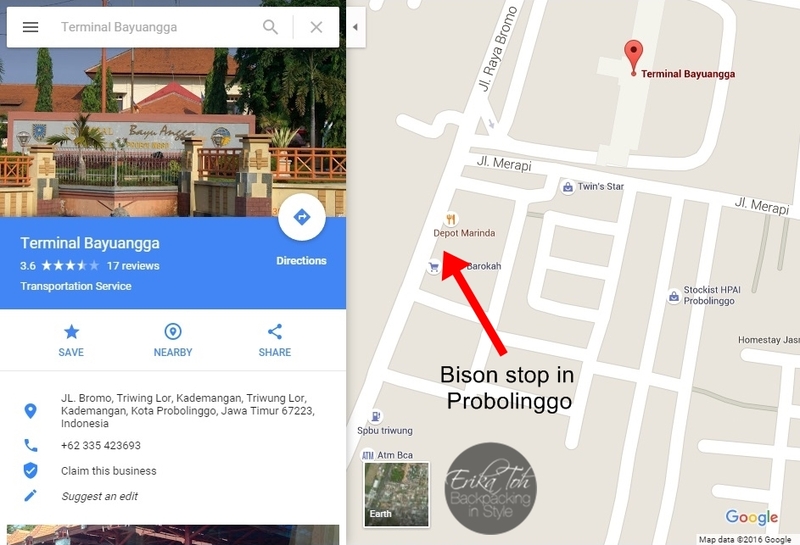 We paid the fare for the bison ride and off we went to Bromo Tengger Semeru National Park @ Cemoro Lawang, a 1-hour journey through green paddy fields, misty alpine forests, vegetable farms, hanging cliffs and more. It was one of the most beautiful rides I have ever taken in my life! The temperature dropped drastically as we ventured higher up into the mountain and needless to say, the stench of reeking rotten eggs signalled that we were close to our destination. what is latest hour these green vans travel to Cemoro Lawang please ? 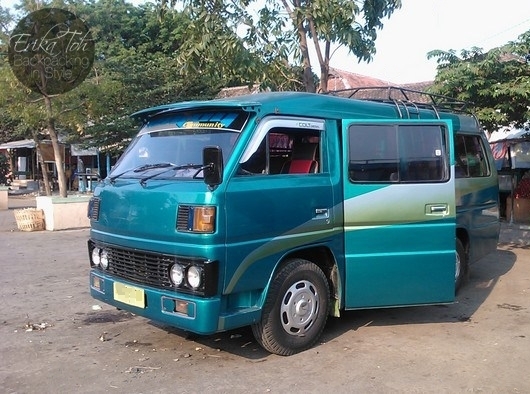 During the low season, the latest hour those green vans leave for Cemoro Lawang would be around 12-1pm. I’d get there early if I were you to catch the early morning ride with other passengers/travellers. If you find yourself being left behind or is the only passenger, you always have the option to charter/hire the entire van to go up to Cemoro Lawang at any time of the day, but at a hefty price. During the peak season, the departure times are more frequent; every hour if I’m not mistaken and the fare is usually cheaper/affordable. Else, take an ojek (motorbike) ride up to Cemoro Lawang. Just be alert and watch out for possible scammers/unscrupulous riders who will take advantage of you or rob you along the way. My sister and I avoid taking ojek rides for safety reasons. Hope that helps. Safe travels to you.